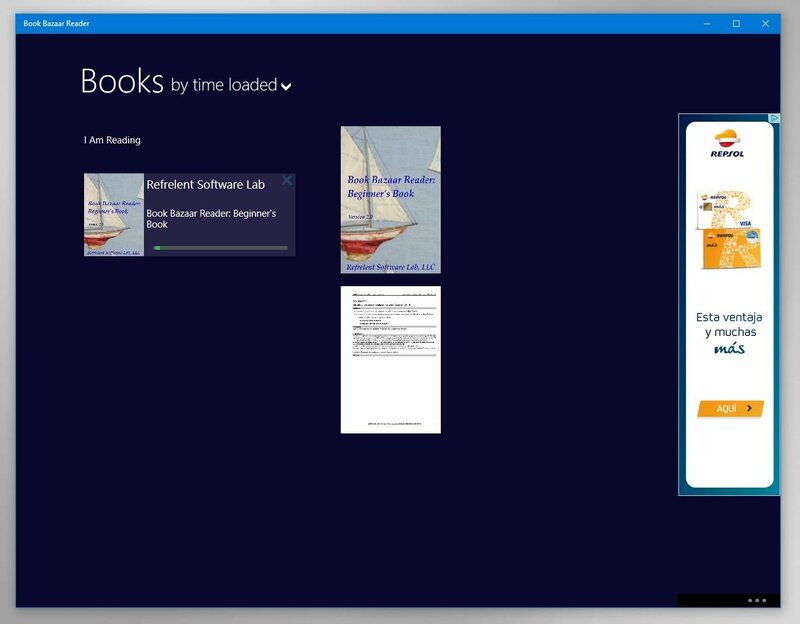 You've just bought yourself a new Windows tablet with which you intend, amongst many other things, to read your books comfortably without having to carry around 500-page volumes wherever you go. 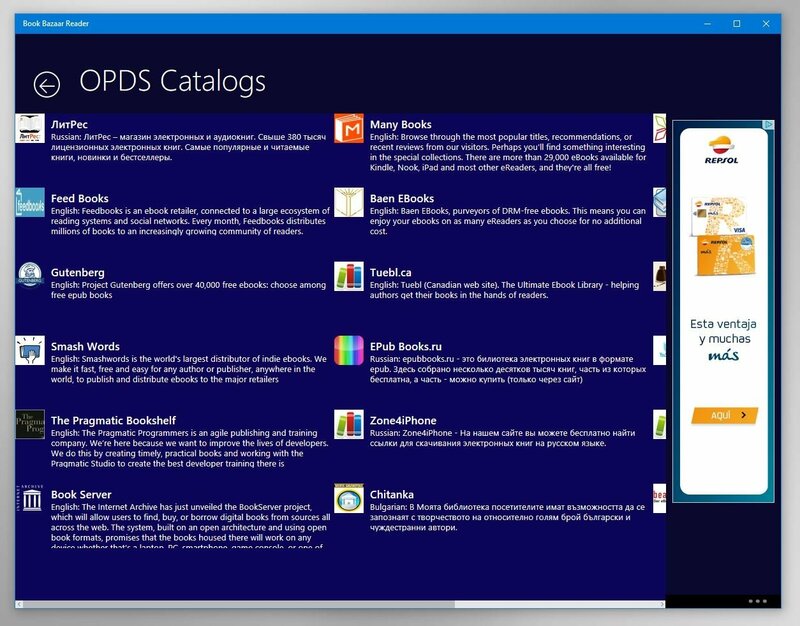 The problem comes when it's time to find the right application that offers you everything you need to read, that organizes your collection and that's free of charge. 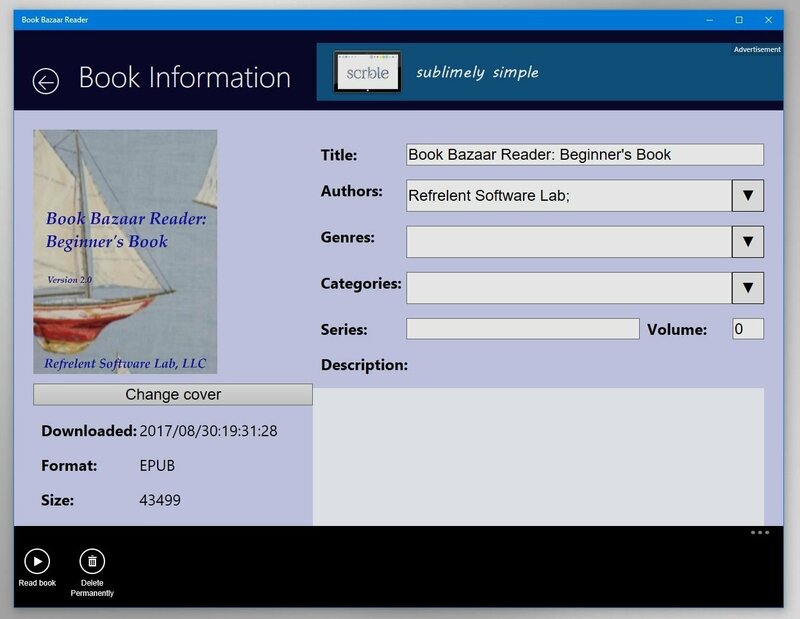 Book Bazaar Reader is an application that's very recommendable, not only due to its comfortable interface to organize and read your books but also because you can customize their information, such as the name or picture that appears in your catalog. And if you don't fancy reading, you can always enable the narrator that reads the text out loud for you. As an interesting extra feature, it also incorporates a download manager to be able to access some of the main eBook webs or to download books directly from the Internet. 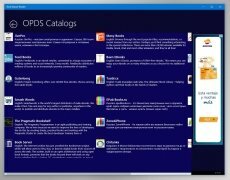 If you're still loyal de Windows 7 and you're reluctant to move over to Windows 10, you won't be able to access the store to download applications. Therefore, a possible alternative could be Lucidor, a program to read all kinds of eBooks. 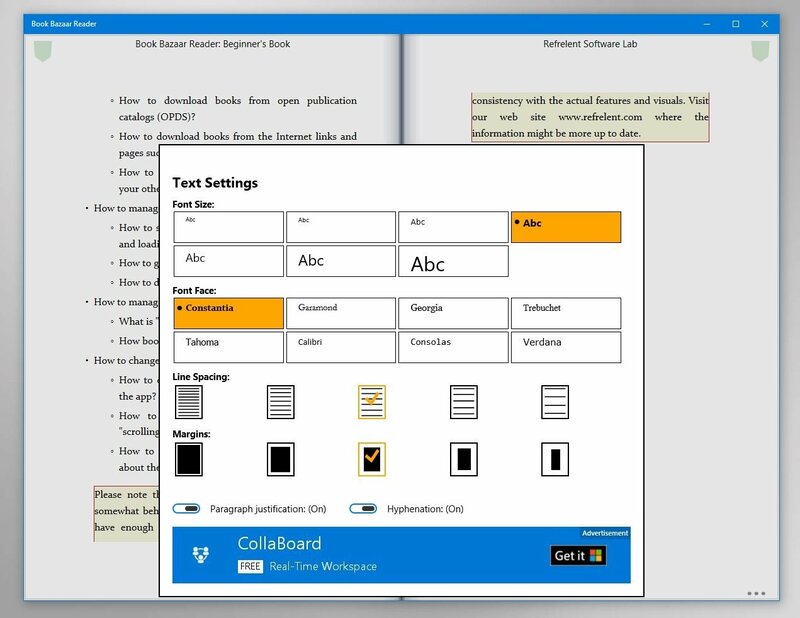 For Windows 10 we can also point out Freda ePub eBook Reader or Bookviser Reader. When it comes to editing the information about your books, the best application available is definitely Calibre. 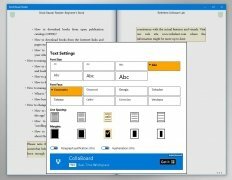 The name probably rings a bell because if you've got a Kindle it allows you to convert books to the appropriate format for this reader. 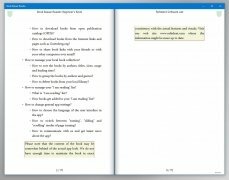 Even if you haven't got a Kindle, you can still edit the data of your books and modify the text's structure. 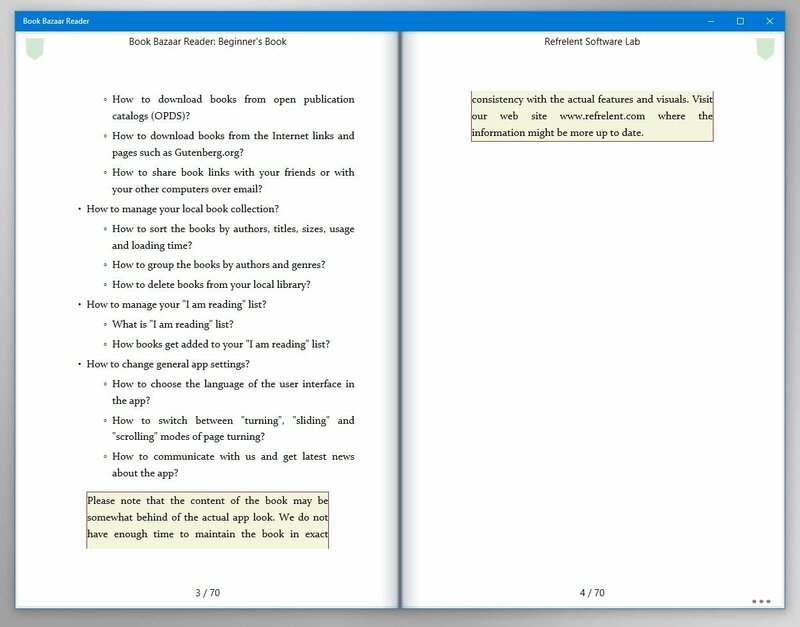 Other alternatives for Android could well be Moon+ Reader or Aldiko Book Reader, although the latter don't incorporate a narrator. 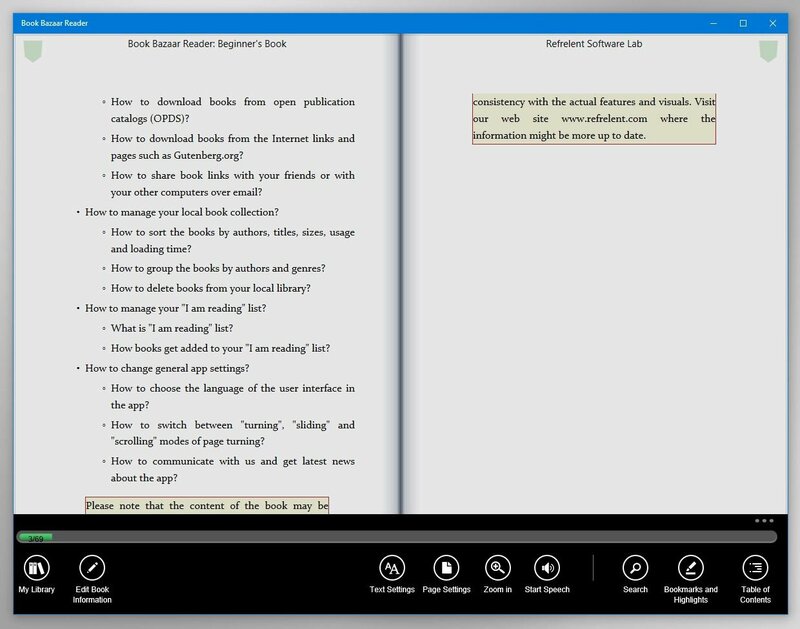 If you want to feel powerful and let others do the dirty work and read out loud for you, you can try out NaturalReader Text to Speech.